Have you lost definition in your neck and jawline? Are you self-conscious about a stubborn, fat deposit below your chin? This is a common development as we age. Fat deposits tend to develop below our chin and, due to gravity, will concentrate there with loose skin. Fatty collections beneath your chin may make you look older or less in shape than you are. However, Skincare by Alyce offers a nonsurgical procedure to help return youthful definition to your face: Kybella. Kybella is a non-surgical injection treatment used to target and reduce excess fat beneath the chin. Those fat deposits under the chin are referred to as submental fullness. No incisions are required and downtime is minimal. Kybella is composed of a synthetic acid called deoxycholic. This is a naturally occurring acid within the human body and metabolizes and breaks down the fat cells. When this acid is injected into the fat beneath the chin, it works to destroy the fat cells. 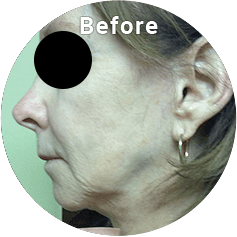 Further treatment is not expected after your desired result is obtained because the cells are destroyed and fat can no longer accumulate below the chin. It may take several treatment sessions with Kybella to achieve the full corrections of your submental fat. Kybella is FDA-approved and is a great alternative solution to more invasive procedures such as liposuction. An improvement in your appearance will boost your confidence, and with a Kybella procedure, you won’t have to wait long to see the improvements. If you are interested in how a Kybella procedure can transform your face, contact our offices today! Adults who have moderate to severe amounts of fat below their chin are perfect for this treatment. Many people are bothered by excess fat beneath their chin. Don’t feel frustrated anymore, let Kybella transform your facial features! 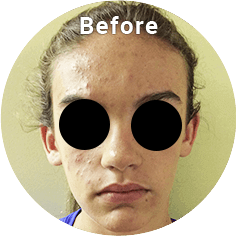 If you are interested in this treatment, we encourage you to reach out and schedule a consultation to learn more. In your private consultation, Alyce and you will discuss your aesthetic goals and how you hope a Kybella treatment will achieve them. She will examine the area under and around your chin to determine if Kybella will be an ideal solution for you. She may suggest alternative options that will better achieve your desired outcomes. 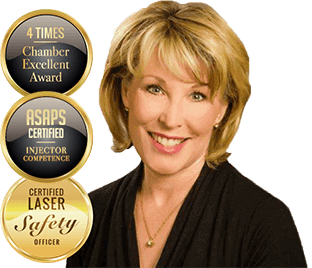 Alyce will discuss your overall current health profile, past procedures and allergies. She will discuss the Kybella treatment process and what you can expect. Detailed instructions will be given to you on how to prepare and approach your recovery. We encourage our patients to ask any questions or voice concerns they may have. Together, Alyce and you will create a treatment plan that addresses and improves your aesthetic concerns. Check with your doctor before stopping any medicines he/she ordered. Wash your face thoroughly before your appointment and avoid ibuprofen and other over-the-counter medications that can cause blood-thinning. These medications may increase your chances of developing bruises. When you arrive for your treatment, the predetermined area will be cleaned and a topical anesthetic will be applied. Once the anesthetic has set in and you are sufficiently numbed, Alyce will administer the Kybella injections in strategic locations. Very fine, medical grade needles will be used during application. The treatment will take about fifteen to twenty minutes. You will be able to return to your regular activities once the procedure is complete. The acid will gradually kill fat cells which will be metabolized by your body in the weeks following the treatment. Swelling, bruising, or numbness under the chin are common symptoms and should diminish within a few days. Intense activity should be avoided for the first twenty-four hours and the jaw and chin muscles should also be rested. Any discomfort can easily be controlled with over-the-counter medications like ibuprofen. At Skincare by Alyce we recognize that every client has unique facial features. The amount of your treatments will be based on your facial features and the extent of improvement necessary. 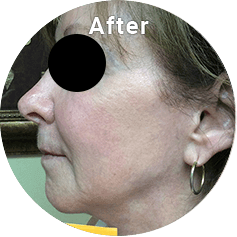 Alyce will recommend a treatment plan that will successfully transform your chin profile. Each Kybella treatment will be a month apart, and you will not receive more than 6 treatments. These results are long-lasting and improvements will be noticeable within a few weeks following your procedure. We offer many minimally-invasive procedures that can be performed concurrently of your Kybella treatment. Botox injections and dermal fillers are easily applied and require no downtime. A simple, hour long appointment with Kybella injections and a complementary treatment will provide a comprehensive improvement to your appearance. Botox and Dysport injections are a revolutionary anti-aging treatment that will dramatically smooth out the wrinkles and lines on your face. Botox or Dysport injections are used to treat wrinkles such as smile lines and frown lines. They also have the added benefit of reducing migraines and hyperhidrosis (excessive sweating). These injections are often performed on people whose facial wrinkles make them look constantly angry, worried or sad. Botox and Dysport injections also help to prevent the development of future wrinkles and lines. You will notice your results in five to ten days, and the benefits can last up to four months. 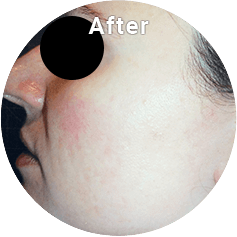 Botox and Dysport are a neurotoxic protein that are injected beneath the skin. The treatment targets muscles that cause folds and wrinkles in the skin and temporarily pauses the communication between those muscles and their nerves. This allows the muscles to relax and let your skin regain a smooth texture. This procedure is quick and commonly takes about twenty minutes. Clients are able to return to work immediately afterwards. Alyce wants her clients to have positive experiences and provides a topical anesthesia for clients who are sensitive to discomfort. The anesthesia will be applied to the predetermined area and then the injections will be gently applied in strategic locations. Botox and Dysport injections are a fast, simple treatment to add on to your Kybella procedure! Injectable fillers are another simple solution to facial wrinkles, lines or diminished volume. 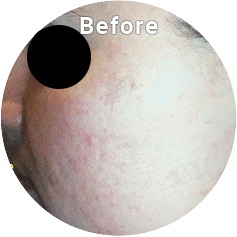 At Skincare by Alyce, we offer many types of dermal fillers that will help to naturally contour your face. Juvederm and Restylane are two popular, FDA-approved hyaluronic acid-based dermal fillers. These fillers provide our clients with a myriad of versatile applications. Hyaluronic acid is depleted over time but with dermal fillers, your skin can regain its youthful appearance. Loss of volume, fine lines and deep folds can be restored to a more youthful look. These injections will help your skin function in a more healthy, natural manner while improving your skin’s volume and texture. Results from your injection will be immediately noticeable. Juvederm fillers are a diverse collection of injectables for improving the features of the face to provide a healthy, young appearance. Juvederm fillers come in a range of options to improve specific areas of the face. Over time, our midfacial region may become less firm and concave. Voluma XC turns back the clock and adds volume and a smooth surface to the cheeks. This filler helps to improve deep lines and folds that have developed around the nose, mouth, brow and cheeks. Juvederm Vollure is a durable filler and may last up to eighteen months. Thin and moderate lines are simply corrected with Juvederm Ultra XC. This filler contains lidocaine to comfortably apply injections. Fine lines around the eyes, mouth and nose can easily be corrected with results that often last up to a year. Juvederm Ultra XC is also commonly used to naturally enhance the volume of a client’s lips while maintaining their border. This form of Juvederm contains large particles in the injectable components. These particles help to stimulate collagen growth in the weeks following your procedure, resulting in stronger, firmer skin. This filler is often administered to larger facial areas or deep folds. It is also great for the back of the hands. Juvederm Ultra Plus XC injection also includes lidocaine to promote a simple application. Restylane dermal fillers smooth the appearance of moderate to severe facial folds with results that last for nine to twelve months. Restylane fillers are commonly used to treat lines on the face and may also be used to augment the lips and naturally improve their shape and volume. This filler is very diverse in its application locations. 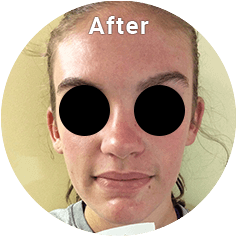 Lyft is effective at reducing marionette lines and nasolabial folds. It can also be used to improve and shape a client’s cheeks. Restylane Lyft may also be used to improve the volume and texture of the backs of hands which often become sallow and thin with age. Dermal fillers, Botox and Dysport injections are a simple, fast addition to any Kybella treatment. Together, these procedures will dramatically change your face and restore your youth. If you are interested in the benefits combining these treatments will have on your overall appearance, discuss your options with Alyce during your consultation. Costs will vary based on your specific goals and anatomical features. If you are interested in how Kybella treatment will transform the shape of your face, schedule your consultation with Alyce Versagli, R.N. today at (610) 685-2575!